LARGE THREE-ROOM APARTMENT CENTRAL AREA In the central area, overlooking the Schiusa river, we sell a large three-room apartment on the first floor. Composed of entrance, hallway with utility room, living room with terrace, large kitchen, hallway, double bedroom, bathroom and single bedroom. Ready to be furnished. Energy certification in the release phase. TWO-ROOM APARTMENT WITH LARGE TERRACE We sell apartment on the 3rd and last floor of a condominium in the quiet residential area of ​​Città Giardino. Apartment to renovate, large, with large entrance hall, separate kitchen, large double bedroom, utility room, very large bathroom and terrace. Apartment to be arranged with a few works, with the possibility of obtaining a second bedroom, which will make it perfect for both the summer and winter seasons. STUDIO WITH PARKING PLACE - GRADO PINETA In the quiet residential area of ​​Grado Pineta, we sell nice well-kept studio apartment, with terrace, on the first floor of a building with elevator. The apartment consists of entrance hall, bathroom with shower, living room with separate kitchenette, habitable terrace, assigned parking space on the ground floor. 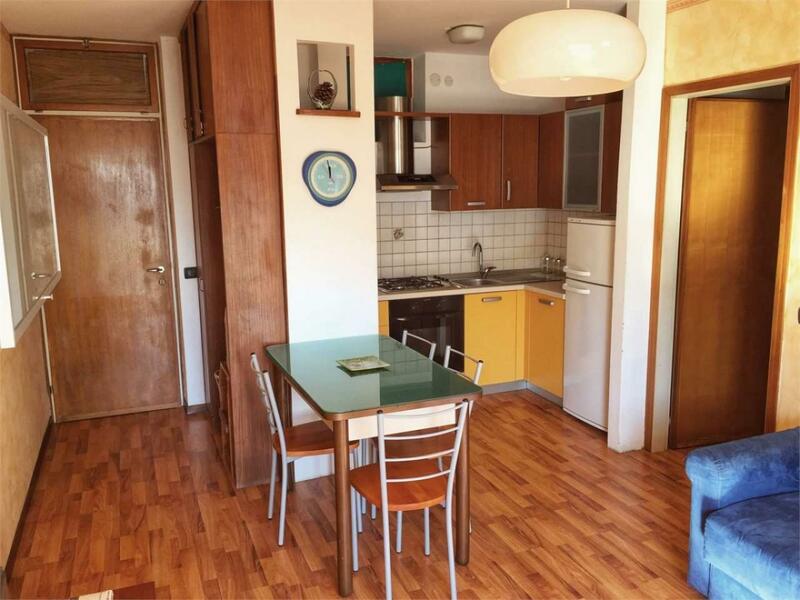 Energy Class G.
THREE-ROOM APARTMENT VIALE EUROPA UNITA In the center of Grado, we sell apartment comprising entrance hall, large living room, kitchen with small terrace, study, double bedroom with wardrobe room, single bedroom. bathroom. Large apartment near the pedestrian street, a stone's throw from the port. energy certification in the release phase. FOUR-ROOM APARTMENT IN CENTRAL AREA In the central area, a few steps from the pedestrian street, we sell a large four-room apartment on the third floor with lift. the apartment consists of entrance hall, kitchen with small terrace, large and bright living room with terrace, hallway, bathroom, two double bedrooms, one of which with terrace, single bedroom, bathroom with bathtub. equipped with air conditioning, independent heating, energy class E.